Keto quiche (a.k.a. 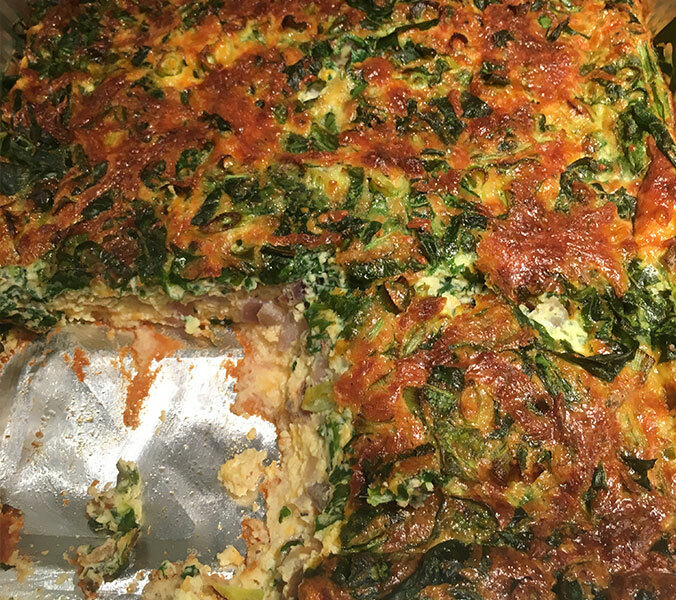 Quiche without a crust) is an awesome low carb healthy meal. Super tasty as it is easy to make. Also, If done right this quiche will be super duper fluffy. It's the perfect dish for those that don't really want to go through an american ninja warrior obstacle course just to make their dinner, quite literally throw the ingredients in the pan, pop it into the over, and you're good to go. Well, maybe not throw...just gently place. If you end up throwing, please record it and send to me as I assume it would be hilarious. If you don't have the right cooking pan in mind, I use these Foil Pans, they are the perfect size and great for already having a container to store them in. Buy the kind with the lid , or just roll some aluminum foil over that puppy and you're good to go. Also, the cheese makes the dish pretty dang good as is, but feel free to add salt and garlic powder for that extra little yes yes.